The consumption, legalisation and benefits of cannabis have become part of a global conversation, but another smoking hot topic is the investment potential in the marijuana-related companies involved in this new industry. Big companies and small, as well as those that provide supporting services into the Cannabis industry have seen huge growth spurts in the last few years, and piqued the interest of budding investors. Check out some of these stats in this Investopedia article on the Top Marijuana Stocks to Watch. In providing investors access to participate in this exciting area of the market with great ‘growth’ prospects, we have listed six (6) new US stocks which deal with the broader commercial world of Cannabis. 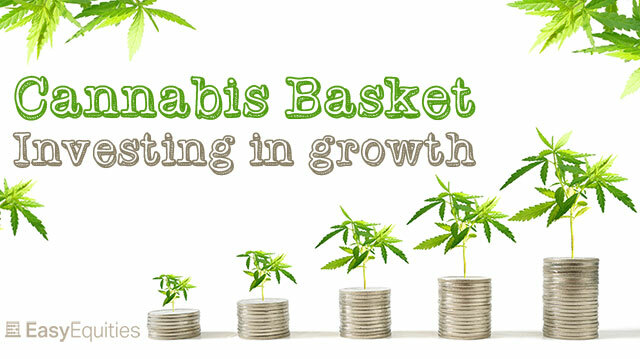 If you are keen to invest in all of these companies in one go check out the Cannabis Basket we've created, which carries a 0.60% Basket fee. Originally a UK company, GW Pharmaceuticals is the first company to obtain FDA approval of cannabidiol, and successfully developed the world’s first prescription medicine derived from the cannabis plant. This chemical is now approved in numerous countries outside the United States, in the treatment of spasticity due to multiple sclerosis. 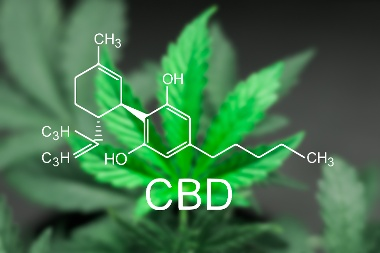 They also develop a liquid formula of purified cannabidiol (CBD) for the treatment of seizures in rare and severe early-onset drug resistant epilepsy syndromes. This company was the first cannabis company in North America to be publicly traded. One of their subsidiaries, Tweed, was the first to introduce the now standard concept of Compassionate Pricing to make medical cannabis affordable for patients. They remain proud to campaign in support of a patient’s right to grow at home (and thus sustainably self-medicate) by selling wide variety of seeds in the legal Canadian Sector. The group comprised of three subsidiaries, Peace Naturals, OGBC and WMMC. Peace Naturals has been growing quickly to meet the needs of patients across Canada and abroad. Their latest expansion includes one of the largest indoor, purpose-built facilities in the industry, as well as a custom-built extraction lab that will enable them to increase their supply without ever compromising their product quality. They believe in a Whole Health approach to wellness, which emphasises a patient’s diet and lifestyle, in addition to the use of medicinal cannabis as an adjunct therapy. This ETF Provides you with access to all the listed cannabis companies out there. What a great product. This ETF has $664,482,308.05 under management and has returned 14.46% Since inception (12/03/2015) Here is the Factsheet. CARA is a clinical-stage biotechnology company focused on developing and commercialising new chemical entities designed to fundamentally change the way acute pain, chronic pain and pruritus are managed and treated. Cara is developing a novel and proprietary class of product candidates that target the body’s peripheral nervous system. These products have demonstrated initial efficacy in patients with moderate-to-severe pain and pruritus (itch), without inducing many of the undesirable side effects typically associated with currently available pain and itch therapeutics. Tilray is a global leader in medical cannabis research, cultivation, processing and distribution. They inspire to lead, legitimise, and define the future of the industry by building the worlds most trusted cannabis company. A proud pioneer, they were the first GMP-Certified medical cannabis producer to supply cannabis flower and extract products to tens of thousands of patients, physicians, pharmacies, hospitals, governments and research facilities on five continents. Countries that allow the medical use of whole-plant cannabis include, Australia, Canada, Chile, Colombia, Germany, Greece, Israel, Italy, the Netherlands, Peru, Poland, The United Kingdom and Uruguay. In the United States, 31 states as well as the District of Columbia have legalised cannabis for medical purposes. Glioblastoma (GBM) is the most malignant brain tumour and one of the deadliest types of solid cancer overall. 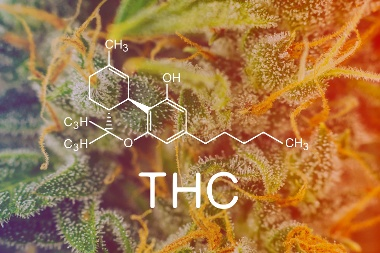 The National Centre for Biotechnology Information published a piece where the Frontiers in Molecular Neuroscience (2018) states “ Accumulating evidence indicates that cannabinoids have potent anti-tumor functions and might be used successfully in the treatment of GBM” The International Journal of Oncology published a study last year indicating that cannabinoids successfully kill cancer cells, with benefits of use increasing when combined with chemotherapy. Read more about the active ingredients in marijuana by clicking on the below.